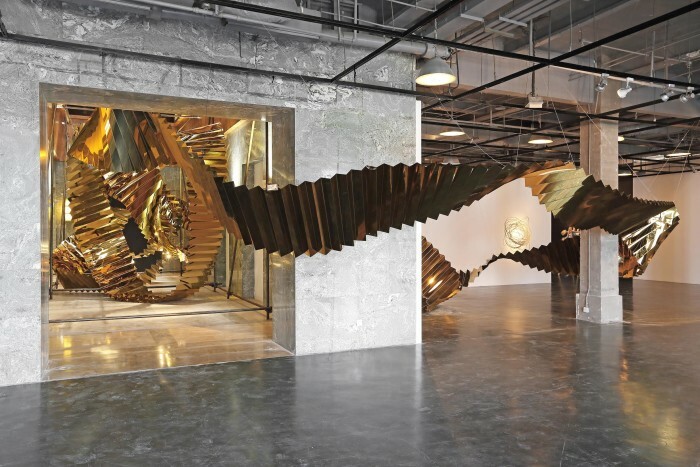 acknowledging the vast contribution of contemporary Chinese art. Sylvain and Dominique Levy, collectors of contemporary Chinese art for the past thirty years, reimagine the now ten year old dslcollection with a book co-curated by Sylvain and Dominique with internationally renowned curators of Chinese contemporary art. Art Radar speaks with Sylvain about collecting in the digital age. Driven by an earnest understanding of global trends, Sylvain and Dominique Levy are acutely aware of the need to educate people about their collection, but they also understand the need to provide a point of connection such that the collection can have a broad impact and a transformational affect. 2015 marks the tenth anniversary of the dslcollection, a collection of 350 works of contemporary Chinese art by 200 Chinese artists that aims to question art across China, and a project that explores the here-and-now: issues and problems of our time on a local to international and personal to universal level. Art Radar talks to Sylvain Levy, Co-founder of the dslcollection, to find out more about its technology focus, family-led future and most recent publication marking the collection’s last decade. 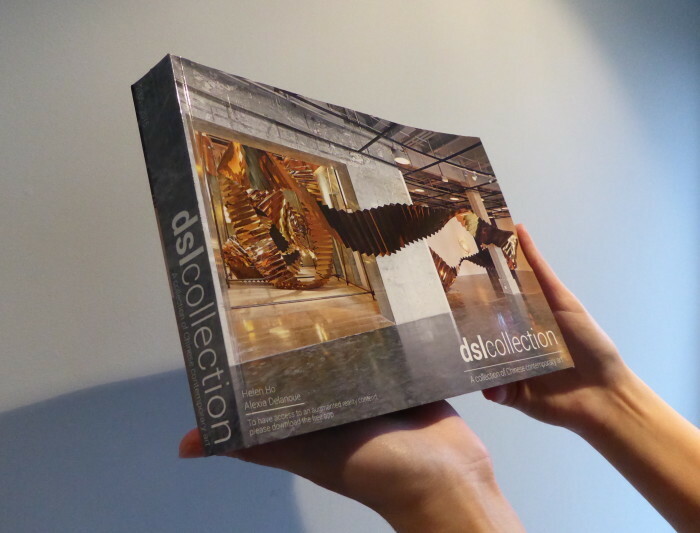 In the introduction to the book, you state that the dslcollection is complex, nomadic and ongoing? The collection began ten years ago. We’ve been collecting for over 30 years, but with this collection we decided to collect in a different way. It was more of a project and [it was] interesting for us to move from objects to something different. We decided this firstly, because a collection is a known journey and we’d been collecting for 20 years in a traditional way – the cabinet of curiosity way. We decided it was more exciting to do something different, especially as we wanted to do it differently. We wanted to try and embody in the collection two tectonic changes that we are experiencing. The first tectonic change is the rise of China, which is changing the face of the world. The other tectonic change is the digital world, which is changing the human being. We decided that the collection was being an active spectator of the two worlds. Once we decided this, we tried to conceptualise the project having guidelines of what direction we wanted the collection to go in. We decided to fix for ourselves an acquisitions policy and a set of rules: firstly, a collection of only Chinese contemporary art, all types of media, limited to a certain number of works. The second idea was to open the collection. We wanted to try to understand what were the different types of experiences that we could bring, especially with the new technologies, to bring the collection to the public not just through the Internet but also through social media, 3D and augmented realities. The third idea, which is important to us, is to think of the future of the collection: timely and timelessness of the collection. Your categorisation of artists in the book such as ‘Hong Kong’, ‘Shanghai Style’, ‘Cantonese Connection’ is intriguing. Why these divisions? We worked with curator Martina Köppel-Yang to curate the book. She decided the different sections and the type, writing the articles as an introduction to each section. It became a “curating” of the book and artworks into the book. 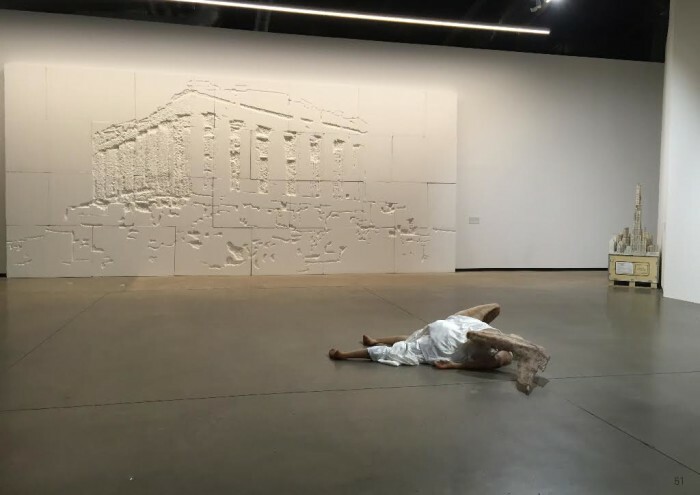 That process of curation is, in and of itself, a certain snapshot and narrative of the here-and-now of Chinese contemporary art, and also reflects the relationship you and the dslcollection have with certain people, cities and places in China. In terms of artists, it is good to see that you are taking a risk with the younger ‘Generation Y’ artists that will inform the future of the collection. Among the younger artists, many of them are shooting stars. It is very important for us to reflect the current situation. If a collection should be contemporary, it means it should move. This is why we change 15 percent of the collection every year, because the collection has to reflect a certain situation at a certain time. It is important for us to be on the move, to try to discover “through our eyes” what we consider interesting in Chinese contemporary art. We have to stay in this state of mind. In terms of technology and in terms of collecting, we have to stay on the move. Being dynamic is something very important for us. How has engagement from Chinese audiences been with the dslcollection and vice versa? How has this developed your online strategy? When you work with art and culture in China, it often reminds the artists there of how the West has dealt with their culture and cultural items. Even in terms of contemporary art, they have very mixed feelings on how Western people have made money on their art. It is the involvement of Western people 20 years ago that has enabled a Chinese contemporary art today. The best way to be engaged with the present in China is firstly, to be physically present, to show yourself. You also have to be linked with education. We try as much as we can to be strongly present in terms of education and through education we try to reach the people. This is a bridge with the dslcollection in China. What is interesting today is to make students connect dots – art as part of life. They have to connect dots with technology, economy and lifestyle. Today, if you just look at art as an object, or art as a historical object, you are not connected to what art is today. Art today is about connecting in a different way. And what is art to me? Philosopher Michel Serres said a human being is a container of emotion and ideas. Art is a key to open this container. Naturally, everyone has different keys, such as you can like an artwork and I cannot like the artwork. What is important is that art is one of the keys to open these containers, where a great work is one that opens a lot of containers. The book is such a resource and archive. How many people were involved in the book? dsl is a very small structure. It is a kind of “wiki” collection. Helen Ho is mainly working with us with help from Alexia Delanoue for the design, and others in China for help with translation. Most of the work for the book has been done by myself and Dominique. For me, it is important to do the book in order to really know the collection, to know it well and in depth. The other ways we have done this since beginning the collection is whenever we collect an artwork, we ask the gallery and artist to send us high resolution images of the artist, artist studio, work in the studio, a short biography and statement in English and Chinese, where most texts are written by the artists themselves. What I like is how accessible the book is so your engagement can take place on so many different levels. There are more critical aspects in the book and then through Artbit you get the soundbytes, the visual and the narrative. There’s beauty in that accessibility. It’s very difficult to do a “book in art”. It has to stay a little complex. It has to be easily readable. The way we conceived the book is like a magazine book – a “magbook”. The constraints were very simple. It should be something that people can read and go through the first page to the last page between Paris and London in two hours and a half. The other idea was that the format was a book that a lady can put in her bag. We do not pretend to make an encyclopaedic book. We wanted something that is easy to read, something that people want to read from the first page to the last page that gives a strong impression of the collection. I think it was interesting recently that you stated that only seven percent of collectors have an online presence. This is something very interesting for me in relation to the book. It is also fundamental that we are working on the transmission of the dslcollection. If you notice, the first text is signed by myself, Dominique and my children. It is very important for us. Karen is now more and more involved in the collection, bringing a new experience as she has been in the art world for more than two years, lived in China, speaks Chinese, moved to White Cube, to Phillips and Sotheby’s in London. She has a different network, a different experience and is from the new generation. My son is also very focused on China and is now involved. I talk to him every week about the digital part of the collection. This is very important in terms of what is happening for the next stage of the collection and is part of the idea of having a timely and timeless collection. We are already working with the transmission to the children. It is a physical transmission of the collection to our children. Are you continuing to collect in the same way now or are you focusing on how you share the collection? We do both. The Arts and Museums Summit in Hong Kong this year asked curators of some of the world’s big museums to sum up in three words “What would be the museum of the 21st Century?” and for me, this question is my guideline. Today, people consume art in very different ways. People are no longer focused on objects; they want experiences. What is important today, is that more and more museums are becoming places for the exchange of ideas, where ideas are shared. The dslcollection wants to go in this direction. Through our strong networks we have built in over 150 countries, what we want to do now is to bring to these people content. We are a bridge between East and West. We want to bring to the East information about the West and vice versa. What is important for us is not only Chinese contemporary art, but how the collection and project will move forward next year, opening up to design and fashion. We are going to begin to collect Chinese fashion and furniture designers, keeping “a dsl touch” in the way we do things, building on our experience of this. Art is more and more about lifestyle. The nature of art has changed a lot within the last ten years. Art is more and more about cultural goods. People are less and less interested in fetishising artworks. They want art to open doors to something else. Art is becoming more and more populist in a certain way. Now, the frontier, the borders between all types of cultural goods are blurring such as between installation and design, performance and theatre, video and film, artists and craftsmanship and vice versa. I think it’s interesting and the best example I can give is the “China: Through the Looking Glass”exhibition at The Metropolitan Museum of Art, New York, and the response of the people even if the curators weren’t saying things in the right way as they were looking through the glass. If you want to stay relevant with the collection, we have to adapt ourselves. 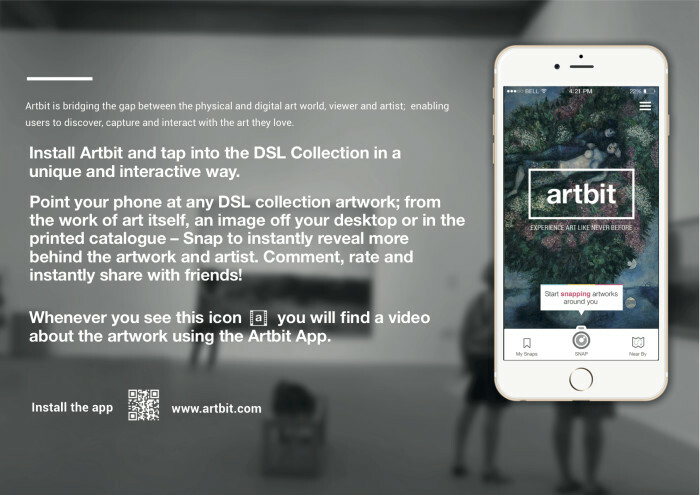 In terms of your relationship to Artbit, is this going to develop in line with the future of the collection and become more of a backbone? Art is a mirror of society. We wanted the collection to work with and at the speed and scale of China, where one of the only ways to connect and share with the Chinese public is through the Internet. We have been working with Artbit for five months now. It is a good example of how virtual content can enrich the real and can open a lot of doors. It is how we mix reality and virtual reality as shown through the book, its relationship to the Artbit app, and access to other visual dimensions. Artbit is a start-up. No one can predict its future. If it’s not Artbit, we will find something [else]. The idea of bringing augmented reality is something that we want to start strongly. More and more we have to move forward, which for us is a mixture of education and entertainment, especially in art. If you don’t bring pleasure with some relevance, then people aren’t interested. It is [about] trying to find the right balance in terms of content and tailoring content and how you bring content to the people. The biggest challenge is to try and tailor the content for audiences such as for WeChat.